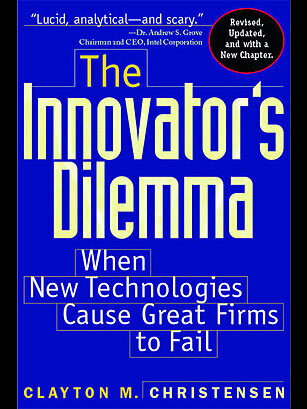 Unlike most business books, The Innovator's Dilemma is about failure. Harvard Business School professor Clayton Christensen takes a look at why large, once successful companies with seemingly talented CEOs regularly falter or, worse, go bust. Christensen's take is that in business success does not breed success. In fact, it's the opposite. Large dominant companies often are blind to emerging technologies or changing market trends that will make their once-innovative products obsolete. The lesson: Adapt early and often, even if it costs you profits today.